Mike Golding has finished the Transat B to B in fourth position as an exceptional storm works its way through the remainder of the fleet. British solo ocean racing yachtsman Mike Golding, racing his IMOCA Open 60, Gamesa, crossed the finish line of the 2,620 miles Transat B to B solo transatlantic race off the north west corner of Spain in fourth place this morning. Completing his first major solo ocean race since December 2008, Golding was only 3h 28 mins off third place, which was taken by 2004-5 Vendée Globe winner, Vincent Riou on PRB. 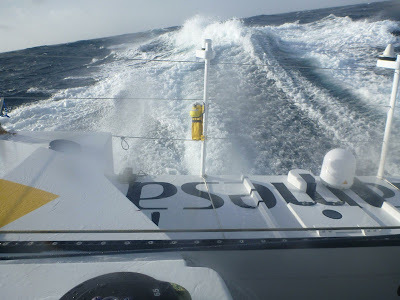 Due to horrendous conditions which are anticipated for the Bay of Biscay over the coming 24hours, the Race Organisers first set a safety gate to keep the fleet south and then elected to stop the race at that gate. 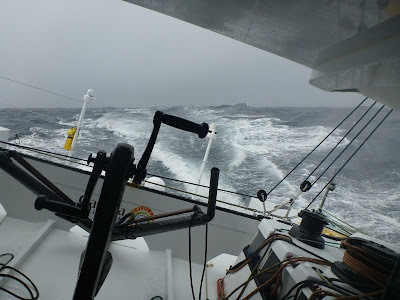 The oncoming weather includes winds in excess of 50 knots, gusting to 60-70 knots, a 90° rotation from south west to north west in a matter of minutes and a backdrop of crossed seas with average waves of eight metres as the fleet approaches the continental shelf. Here, the seabed suddenly rises from 4,000 metres to 150 metres and causes even more chaotic seas than usual. “I am pretty happy with fourth place. It is a good result in this fleet and I am happy with it. And it is not just the placing that feels good, I feel like I was competitive, the boat went well and I think we finish knowing that we have speed. We were close to third and I felt like I was closing Vincent down at times over the last 24hours,” commented Golding this morning after he had snugged Gamesadown for what he expects will now be an unpleasant delivery to the race finish port of Lorient. “Don’t get me wrong, Macif and Francois Gabart were quick as was Armel Le Cleac’h who took second on Banque Populaire and they sailed a great race, they got their key decision right when they chose to stay south and cut the corner a little, saving some miles. They got good separation and made it work. I feel like I had a similar race to PRB’s. I looked at the southern route at the time and it did not work for me, but sometimes it can be about having a faster configuration for that routing, for example, I know that we have been fast recently under the fractional gennaker. 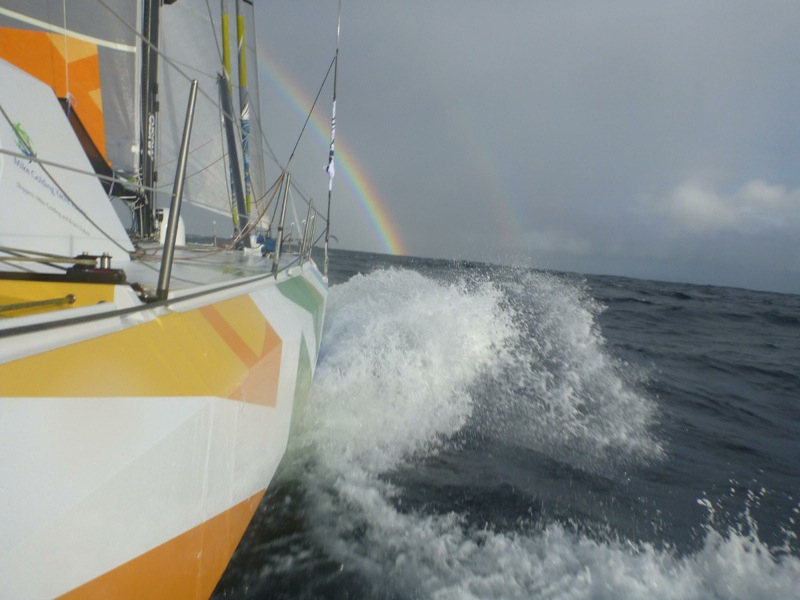 “Certainly I am more content than I was after the Transat Jacques Vabre. That result did not reflect the work we had all done and it was down to some decisions, so this certainly feels better. I am sure all the team at home who put a lot of work in will be a bit happier to see this result. 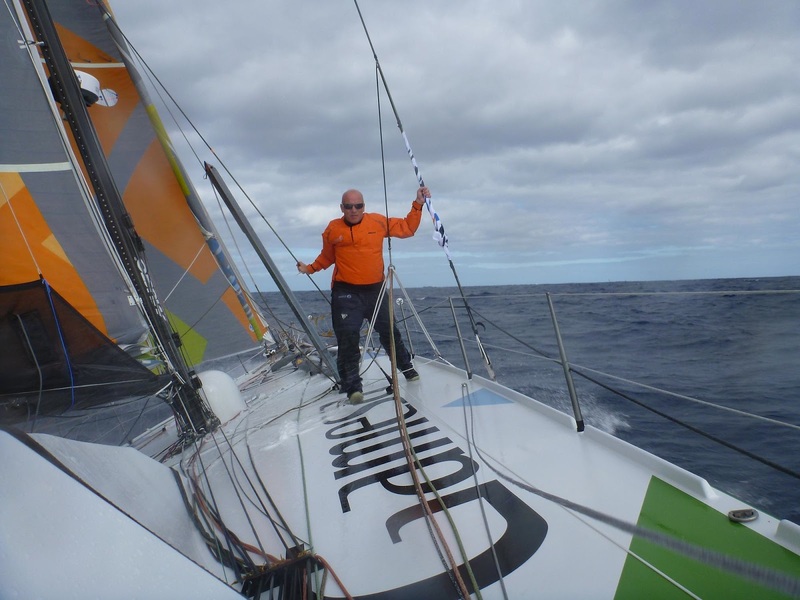 This is the first race I have done since the Vendée Globe in 2008, I felt a bit rusty to start with, but now I am just getting into my stride!” Golding remarked. 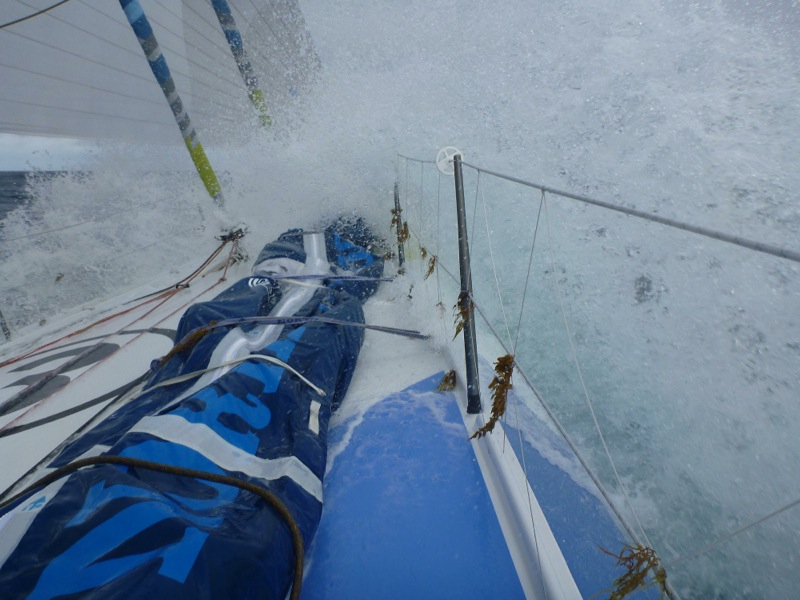 “The course [from St Barthélemy in the Caribbean to Lorient, Brittany] is not ideal. I can understand why it does what it does and the purpose of the race, but logically in the cold light of day you don’t want to be racing in the North Atlantic, off Newfoundland, in December. The Grand Banks are not a sailing destination for this time of year. 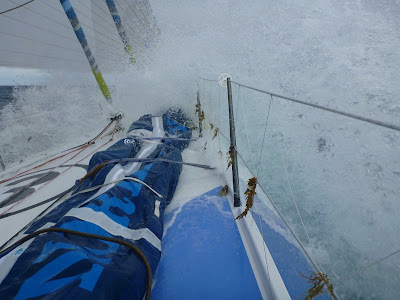 I know I keep saying this but I feel I have been in this game long enough to know - the race from Brasil was better, it was much more representative of what we face in the Vendée Globe. “As far as the boat itself goes, I am pretty happy. Reliability seems good, we have some things to look at for sure, but there are no big jobs to do. I am very happy with the configuration now. To be out in the cockpit in in 40knots in your mid layer really does make me wonder why I have been yachting around getting so wet these last years! The good thing is this new coachroof also keeps the inside of the boat drier and that works for me too. Golding and Gamesa are due to arrive into Lorient on Sunday.